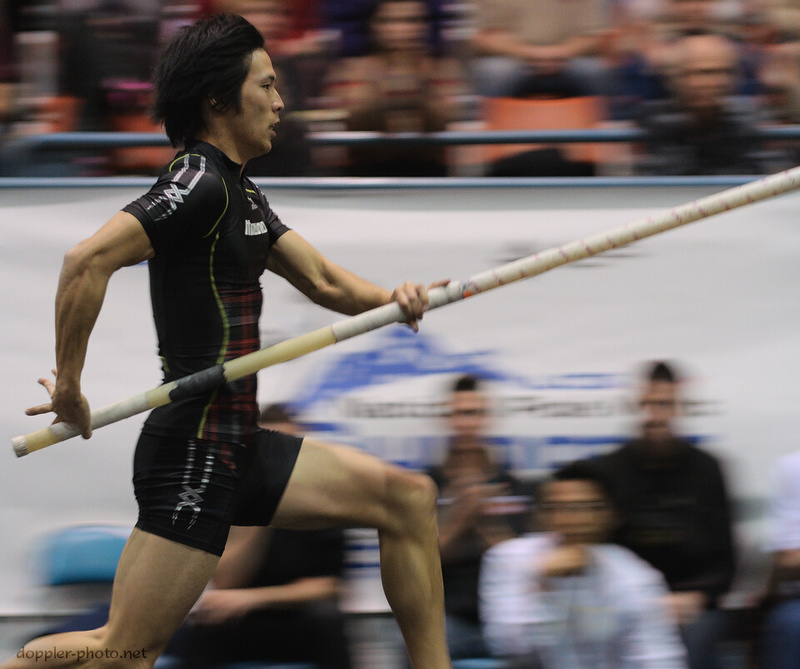 For me, pole vault is a sport of mixed emotions: excitement, terror, anticipation, joy, sorrow, and so many others. But I know that many of my non-vaulting friends have trouble understanding why we behave the way we behave, and what parts of the vault elicit which of those emotions. 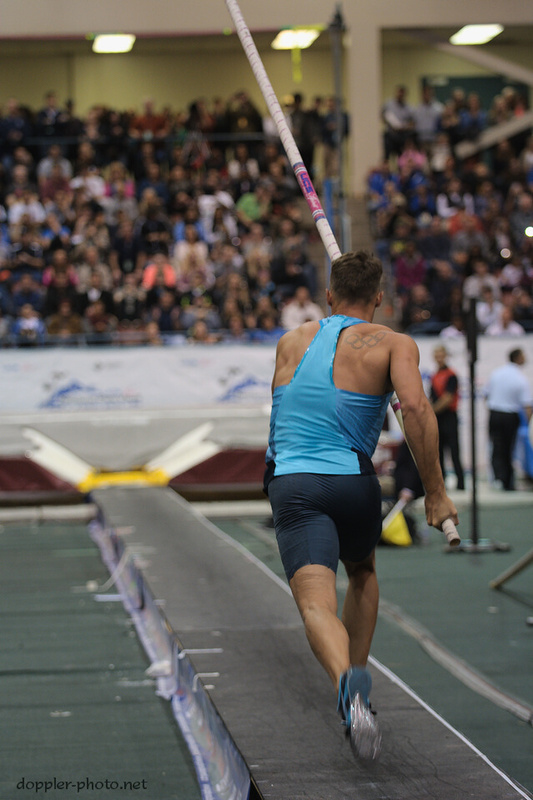 So after taking photos at the 2014 National Pole Vault Summit, I'm hoping to give y'all a hint of what it actually feels like to pole vault, at least from my perspective. 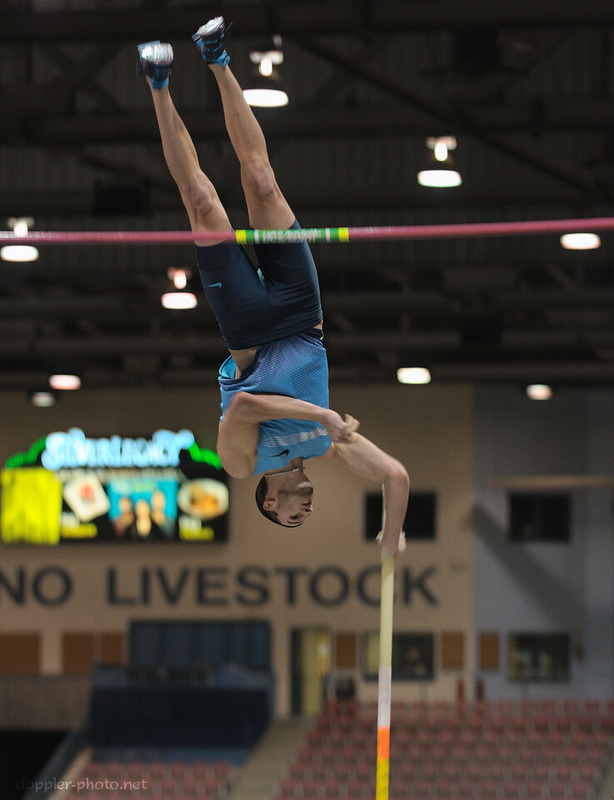 First and foremost, pole vault is dynamic — feet fly, limbs move, poles bend and recoil — so I hope my photos can help you imagine what it'd be like to experience those sensations as well. At the head of the runway. Anticipation. When I'm jumping well, my mind is clear. "Just do what you do." When my technique needs to change, I try to repeat and repeat and repeat the change to myself enough that it'll just happen when the time comes. Because once the run starts, you can't think — it's mostly instinct by that point. 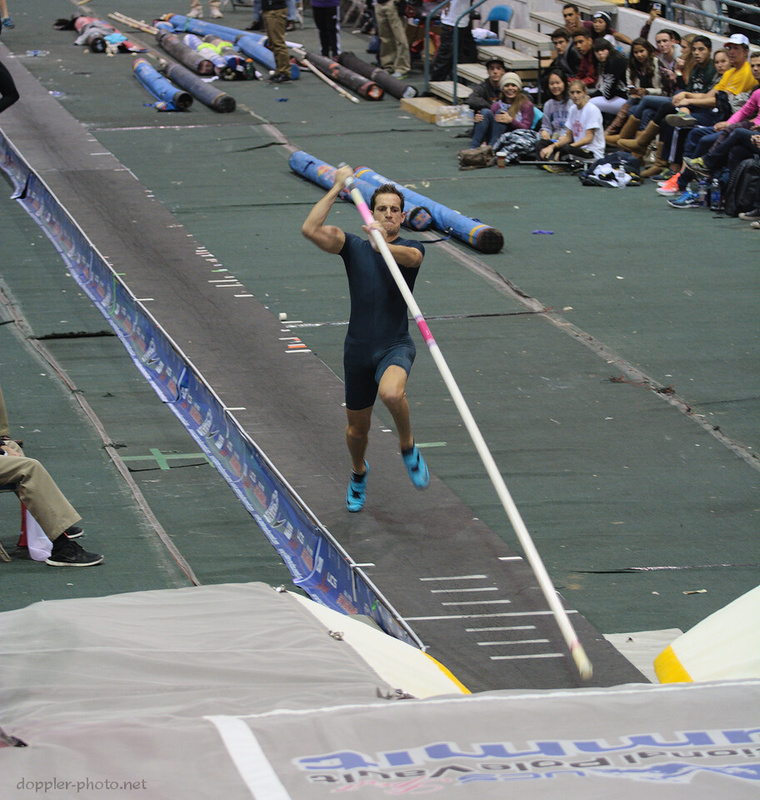 Every vaulter has their own start routine. Some people just grab the pole and take off, others (myself included) almost-ceremonially check their grip, pantomime a pole-plant, and then raise the pole, take a step back, and go. 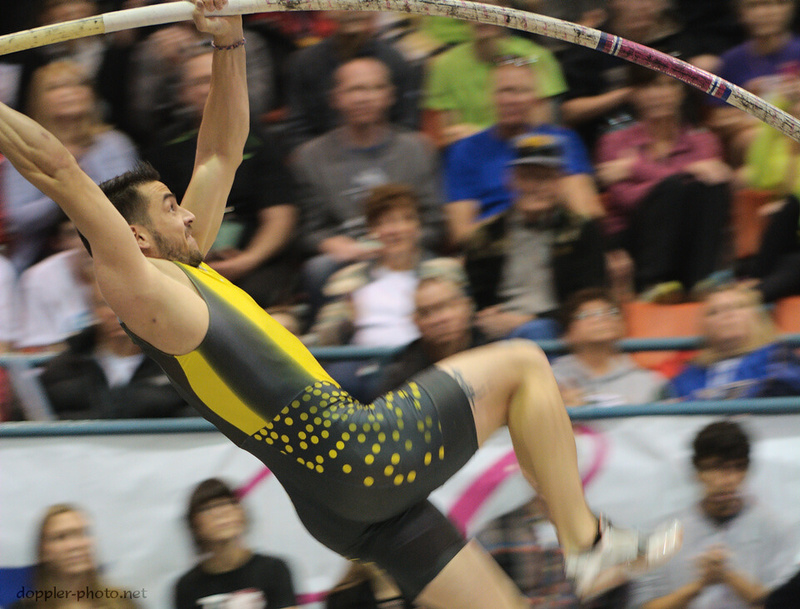 Consistency is a big part of the vault, and having a consistent start is the foundation for a consistent run. Once the run begins, I'm on autopilot. I still have the tiniest amount of control, but by that point it's practically an illusion. This is one of the most frustrating things about the pole vault — there's a chasm between knowing what you need to change and actually implementing that change, and turning the idea into action (especially during a meet) can be extraordinarily difficult. Most of the real thinking happens during practice. As the run continues, you've got to be in a rhythm. Nice, high knees. Upright torso. Balanced and relaxed. A consistent run is the foundation for a consistent plant and takeoff, and the plant is coming up fast. In my own case, I've been trying to change my plant for the last couple years, so I'm a bit more lucid during this section of the vault than I consider to be normal. Even so, like a dream, my memory of this section of the vault disappears by the time I land on the mat — if I have a problem here, it can take me a few attempts to notice, let alone to correct. Next up, the swing. The swing is challenging because it's another foundational move. Like the run, you can kind of feel whether you're swinging well or not, but the real proof will be in how much energy you maintain once you're upside down. Think of it like building a house — the foundation might look fine, but you won't know for sure until you try to build something on top of it. The swing is a major aspect of the transition from moving horizontally to moving vertically, and a poor swing can easily cut a lot of height off your jump. The swing (and, incidentally, everything else once I'm in the air) are also dream-like parts of the vault for me. I can react to things in the moment, but I rarely remember what happened after the jump is over. Despite never recalling the extension, I know that I'm at least somewhat lucid in the moment, because if I need to change the end of a vault to make a bar, I do so. Kind of like tripping and catching yourself before you fall, it's a pretty automatic reaction for me. 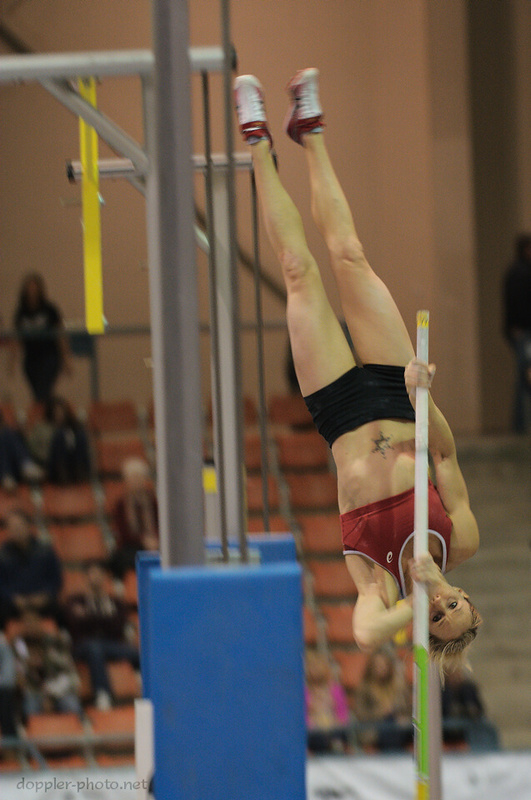 The extension is one of the slowest parts of the vault, especially as you jump higher and higher. You already added most of the energy during the run, you did most of the steering during the swing, and now you have to hold things steady and get the pole to toss you in the right direction. Of course, that still takes a lot of physical exertion, but the motions are finer and more precise. The push-off and the pike are essentially the last phases of the vault. After that point, you either made it or you didn't, and you just wait until you're no longer flying, get up off the mat, and get ready to go again. This has been the story of taking flight. The next episode will bring us back down, again.